Beautiful Stampede Reservoir boat rentals, jet skis, water sports, and lake tour company on this lake in Tahoe National Forest, 30 minutes from Truckee, CA. Stampede Reservoir California sits at an elevation of 5,949 feet above sea level with 25 miles of shoreline, giving plenty of room for fishing and other outdoor recreational fun. You can reach Stampede Reservoir CA from Lake Tahoe by taking California Highway 89 to Interstate 80 East and driving 7 miles east of Truckee then take the Hirschdale exit and simply follow the signs to the reservoir. You'll find exceptional fishing on the reservoir, with plenty of catch-able rainbow trout, brown, Mackinaw and Kokanee trout. 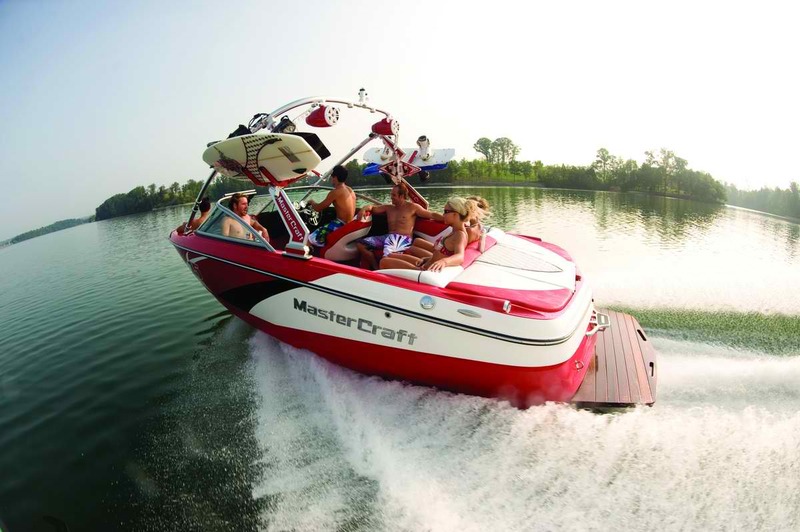 All types of water vessels are allowed on the reservoir with activities like wakeboarding, water skiing, kneeboarding, wakesurfing, waverunners, tubing and the boat ramps to launch watercraft. Sailing is great here, with nice breezes running the length of the lake. On the Crystal Mine Trail you can take an nice hike or bike ride with the family. Here you'll enjoy the peacefulness of the national forest land surrounding, and end up at an old mine site on top of a hill. There are two campgrounds, making for a wonderful Stampede Lake camping experience. The Emigrant Group Campground has sites for up to 60 people, including tables, barbecues and fire rings and Logger Campground allowing individual tent or trailer sites.